"Buy Weber Genesis II Gas Barbecue & Claim an iGrill 3 for Free| Weber or Buy Weber Genesis II Gas Barbecue & Claim an iGrill 3 | Spring Promotion"
Never over- or under-cook your food again with the easy to use iGrill. Simply download the app, tell the iGrill what you're cooking and how you'd like it cooked. The iGrill does the rest, tracking the progress of your food in real time and will notify you when it's done - meaning you can spend more time with your guests whilst your food is cooked to perfection. No matter if your get-together is spontaneous, no matter what is on the menu, or whether time is plentiful or short, your gas barbecue is always ready at the push of a button. Now is the perfect time to gear up and get the most out of the season. Have you purchased a Genesis II, Spirit II or Spirit Classic gas barbecue between 28.03.2019 and 22.04.2019? 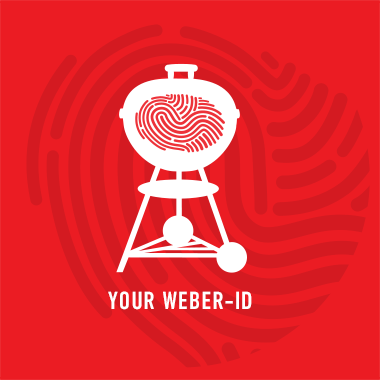 Create a Weber-ID and register your barbecue now to claim your free iGrill! BUY A GENESIS II, SPIRIT II OR SPIRIT CLASSIC BETWEEN 28.03.19 AND 22.04.2019. Purchase at your local dealer or the Weber Online Shop. Use the link in the confirmation email to claim your iGrill. 2. Lightly brush the lamb chops on both sides with oil and season on both sides with salt and pepper. Allow the chops to stand at room temperature for 15-30 minutes before barbecuing. 1. Prepare the barbecue for direct cooking over medium heat (180-230°C). 2. Brush the cooking grates clean. Cook the chops over grilling/direct medium heat, with the lid closed, until cooked to your desired doneness (8-10 minutes for medium rare), turning once. Remove from the barbecue and leave to rest for 3-5 minutes. 3. Serve the chops warm, two to a plate, with salsa spooned on top. 1. Finely chop ½ the mint and place in a mixing bowl. Add the lime juice, zest, Cachaça, chillies, sugar, oil, cayenne, salt and pepper and mix well. 2. Pour 1⁄3 of the marinade into a small sauce pan and reduce by half to make a syrup. Set aside. 3. Meanwhile, cut the chicken in to 3cm chunks and stir well into the remaining marinade. 4. Cover with cling film and refrigerate overnight for the flavours to infuse. 1. Prepare your barbecue for grilling (direct method) and allow to pre-heat to a medium heat. 2. Thread the chicken pieces onto skewers, alternating with mint leaves and cook for 8 minutes, turning once after around 4 minutes. Once cooked through (75ºC), baste with the reduced Cachaça syrup. 3. Serve with a fresh herb salad. If you’re looking to make an impression, these berry waffles are the perfect dish. Combine the flour, cane sugar, baking powder, baking soda and vanilla sugar in a bowl. Whisk the milk gently into the flour mixture with a hand mixer. Stir 1 egg at a time into the mixture and add fruit colouring. Stir the melted butter into the mixture. Prepare the barbecue for direct heat, approx. 240-250°C. If using a charcoal barbecue, you will need half a chimney starter of lit briquettes. Put the waffle and sandwich iron in the GBS grate and preheat for approx. 5 minutes. Melt the butter in the four sections of the waffle iron and distribute the mixture so that the entire surface is covered. Close the iron and bake for 1 minute. Then turn the iron through 180 degrees and continue cooking for approx. 1 minute. The waffle only has to be baked until just done in order to achieve a nice reddish-brown colour. Serve the baked waffles with whipped cream, fresh berries and maple syrup.